One of most hackers tend to do is to take out the passwords and then misuse it. So it is recommended to have a strong password and those passwords which can have case sensitive characters. For example, you might use a simple two names as johncarter as one word password and this can be hacked easily by the hackers. So, it is recommended to have a password with small and big characters, mixed up and with numerals such as pS#9M0 for example. The password given is a strong and cannot be found easily. The Facebook email ID, hackers try to hack so as to implement a next approach after knowing it. This is because if user knows the email ID, then changing of password can be done easily by clicking on forgot password. This will lead to make them easily get a known password for themselves and then hack into the Facebook account. So to hide the personal details on Facebook and to hide email ID, the steps you can implement is: Profile>Edit Information>Contact Information>see where your email ID is shown. At the very end of your email ID, there will be a drop down box which will have options such as everyone, friends and only to me. Click upon only to me so the hacker cannot be known about your email ID. When you created your ID in Facebook, you would have answered some security questions given at the time of creation. There would be questions in the drop down boxes to select by you for answering as who was your best friend or where birthplace was. These question answers can be easily done via a hacker so in order of how to safeguard here would be as by setting up your own question. Facebook is such a Social Networking website which lets how to make up your own by just click on the down below an empty box and entering your own question and specifying an answer for it. Now there are some process which you can involve during your login intervals as of device name and code. These can be done via first when you login from any browser, you need to go through at start save the device name, and you write a name and save it. After saving your device name it goes to code which you can only enter and then this case is said as to have a security. You can do these priorities by accessing the ways as such:Account Setting>Security> Login Notification> click a tick on the box and save the changes you made. Whenever you login from some other device and other regions, it goes on to save device, this makes up goes into your mail ID which says you have logged in from this region at that very time. So you can know who logged in and when, and if by certain any hacker had tried to login into, it will make a notifications appear as unrecognizable device had tried to login from this device which was located at this region. 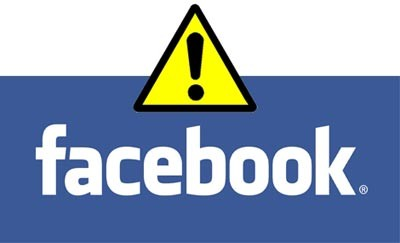 If it was you then click on it was me otherwise click on not me and thus it makes you alert about your Facebook ID. glad it helped you. thank you for your valuable comment.